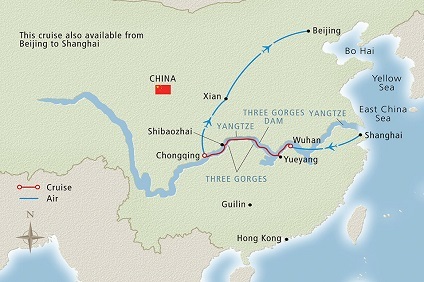 6 Night Cruise sailing from Wuhan to Chongqing aboard Viking Emerald. Hotel stay pre-cruise in Shanghai and post-cruise in Xian and Beijing. 6 Night Cruise sailing from Wuhan to Chongqing aboard Viking Emerald. 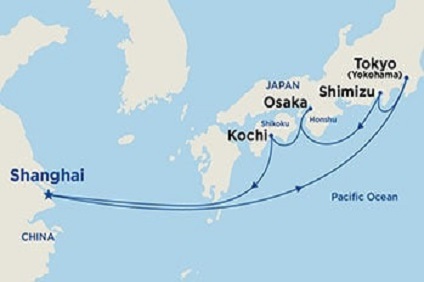 Hotel stay pre-cruise in Shanghai and post-cruise in Chongqing, Lijian, Chengdu, Xian and Beijing. 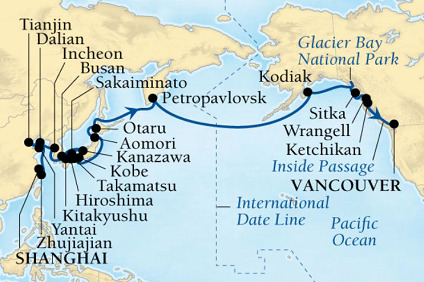 6 Night Cruise sailing from Wuhan to Chongqing aboard Viking Emerald. Hotel stay pre-cruise in Shanghai and post-cruise in Lhasa, Xian and Beijing. 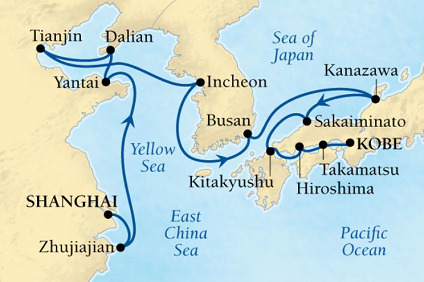 8 Night Cruise sailing from Shanghai roundtrip aboard Majestic Princess.